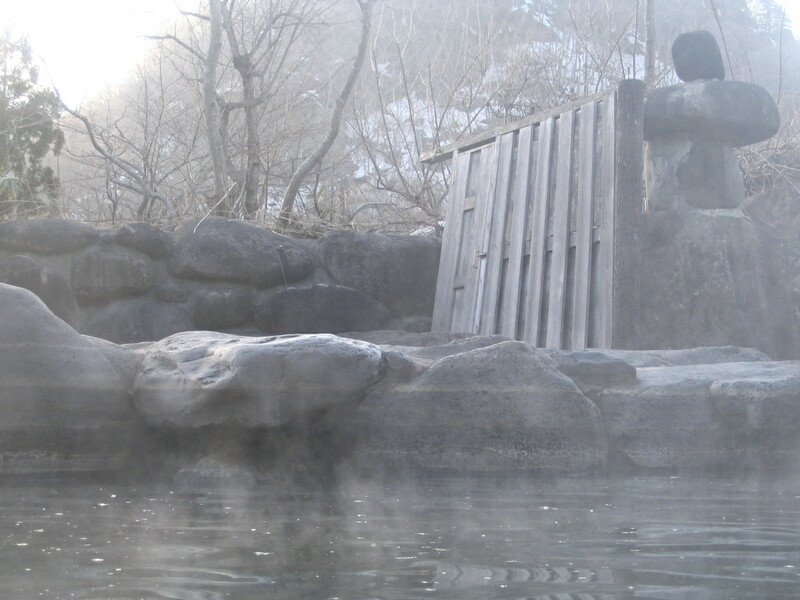 Outside bath of an onsen in the mountains close to Kitakami. This looks like a great place to relax after a days exercise. How hot is it? Around 40°C. In winter a little cooler.